Ghayal Once Again 3 Weeks Box Office Collections: It was during the early 90s, Sunny Deol took charge and scored back to back hits impressing the audience. Many of his movies ended up as huge hits collecting terrific figures. He has been known for his mind blowing action episodes and his powerful dialogue delivery along with his explosive performance is sure a treat to watch for the audience. He has done impressive movies out of which most of them have been declared as blockbusters. Later his brother Bobby Deol too made his debut and established as an actor. Sunny Deol and Bobby Deol made their debut as the successors of actor Dharmendra who was one of the backbones of Bollywood. After an impressive career, Sunny Deol fell short of successes and all his movies ended up as debacles. He has done films on regular basis and career graph came down after 2005 which left everyone in surprise. Boring and predictable content is the reason for the failures and he even teamed up for Yamla Pagla Deewana with his father Dharmendra and his brother Bobby Deol and the film ended as a smashing hit. Sunny Deol has taken things seriously and he started working on a script. He then announced that the movie will be a sequel for his super hit movie Ghayal which released in 1990. GOA Box Office Collections (21 Days) : 50 Crores Approx. 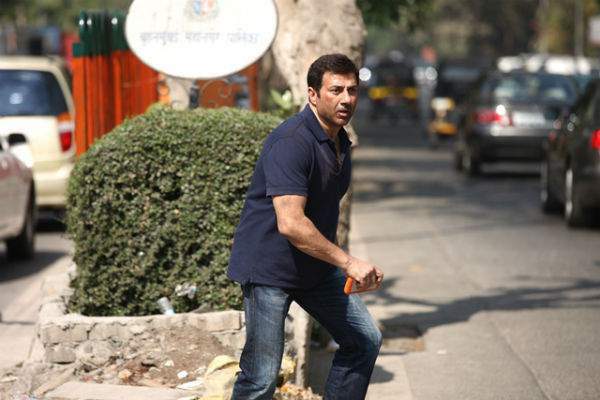 The movie has been titled as Ghayal Once Again and the film took enough time to complete the pre-production work. Sunny has taken enough care and he made sure that the movie will entertain the audience. Ghayal Once Again is said to be a thriller and Sunny penned the script. He planned the film perfectly and he decided to direct the movie. Sunny Deol, Om Puri, Shivam Patel, Rishab Arora, Aanchal Munjal, Soha Ali Khan and Diana Khan played the lead roles in the movie. Ghayal Once Again has been made on a budget of Rs 30 crores. Sunny Deol initially planned to release the movie during November but he delayed it for a decent and comfortable release date. Ghayal Once Again released on February 5th and the movie opened to decent occupancy as expected. The movie witnessed 70% occupancy throughout the first weekend and the collections stayed strong for a week. Despite of negative word of mouth and poor reviews from the critics, Ghayal Once Again collections were Rs 49.32 crores in 21 days. The complete business is expected to close by this week revealed critics. The makers are completely happy with the movie’s response and collections. Dharmendra produced Ghayal Once Again on Vijayta Films banner.